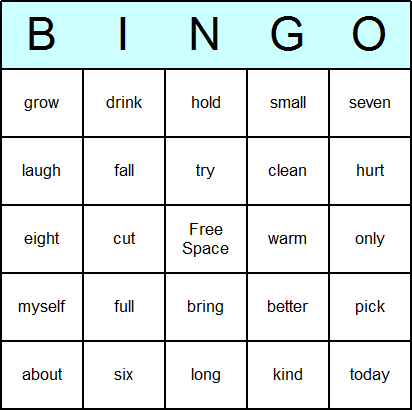 Printable bingo game based on the Dolch 1st grade sight word list. Includes a set of eight different color bingo cards, and a call-sheet to be used by teacher. Includes PDF (for immediate printing) and template file which can be opened with Bingo Card Printer software from http://www.bingocardprinter.com - this can be used for printing larger numbers of bingo cards, or customizing the cards. 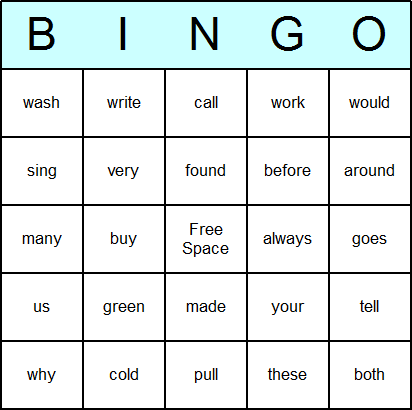 Printable bingo game based on the Dolch 2nd grade sight word list. Includes a set of eight different color bingo cards, and a call-sheet to be used by teacher. Includes PDF (for immediate printing) and template file which can be opened with Bingo Card Printer software from http://www.bingocardprinter.com - this can be used for printing larger numbers of bingo cards, or customizing the cards. 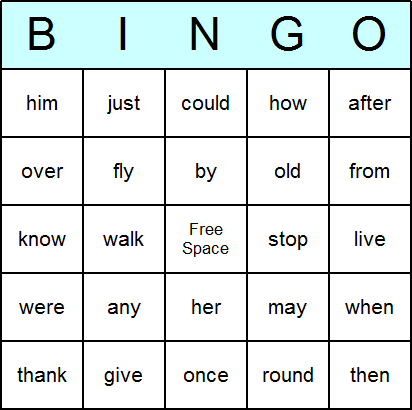 Printable bingo game based on the Dolch 3rd grade sight word list. Includes a set of eight different color bingo cards, and a call-sheet to be used by teacher. Includes PDF (for immediate printing) and template file which can be opened with Bingo Card Printer software from http://www.bingocardprinter.com - this can be used for printing larger numbers of bingo cards, or customizing the cards. 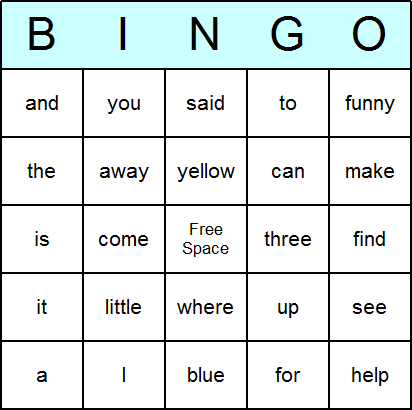 Printable bingo game based on the Dolch pre-primer sight word list. Includes a set of eight different color bingo cards, and a call-sheet to be used by teacher. Includes PDF (for immediate printing) and template file which can be opened with Bingo Card Printer software from http://www.bingocardprinter.com - this can be used for printing larger numbers of bingo cards, or customizing the cards. 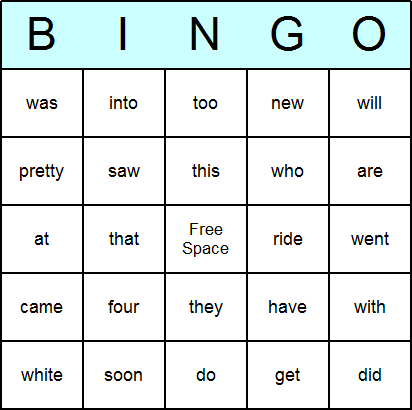 Printable bingo game based on the Dolch primer sight word list. Includes a set of eight different color bingo cards, and a call-sheet to be used by teacher. Includes PDF (for immediate printing) and template file which can be opened with Bingo Card Printer software from http://www.bingocardprinter.com - this can be used for printing larger numbers of bingo cards, or customizing the cards.